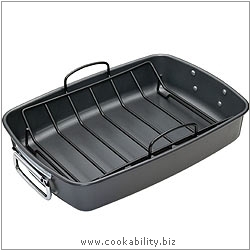 Ideal for roasting as it has a removable roasting rack which allows fat to drain away for healthier cooking. Heavy duty with hinged handles. Suitable for all stove tops including induction.